You snowflakes turned out more delicate than mine did! I love how it looks spray painted when the colors are showing, adore the holly design! You're brilliant! These designs are amazing! I absolutely love the holly design! 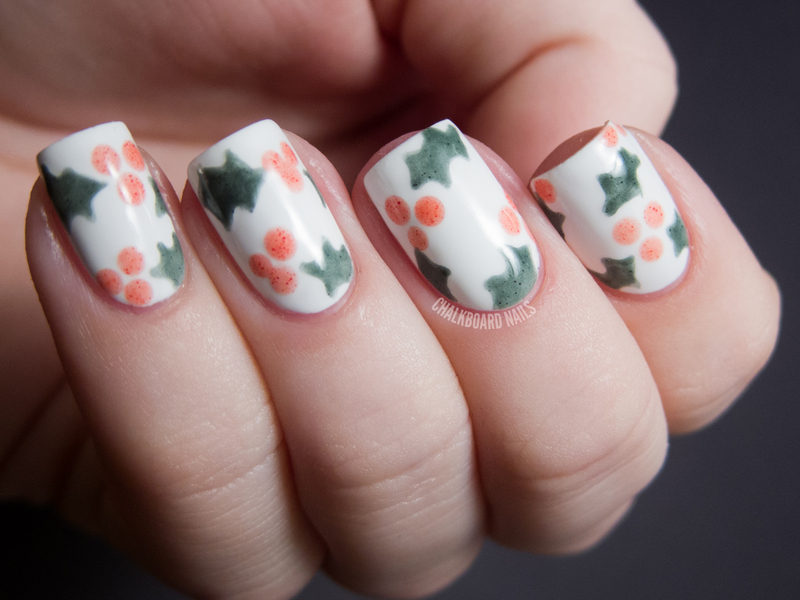 Love the 2 designs...the holly looks so pretty all lightened up as it is - and yes, it looks like old wrapping paper. I would think you could add polish thinner to a more opaque red/green polish to get this 'aged' kind of like a watercolor wash to it. 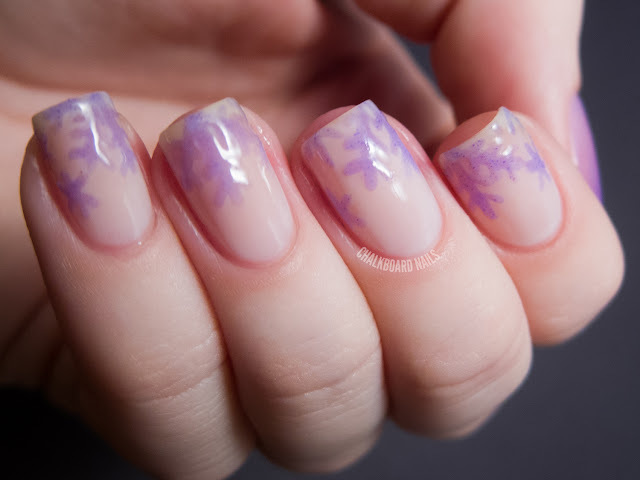 doing art with heat sensitive polishes! you are a genius! COMO VOCE CONSEGUE TIRAR AS FOTOS TÃO BEM? AS IMAGENS FICAM MUITO NITIDAS! QUAL MÁQUINA FOTOGRAFICA VOCE USA? E COMO PREPARA A MAQUINA PARA TIRAR AS FOTOS? Oh that is realy nice! They are so funny. Really cute nails :-). Didn't know such polishes existed. Can't choose which is my favourite ;-).